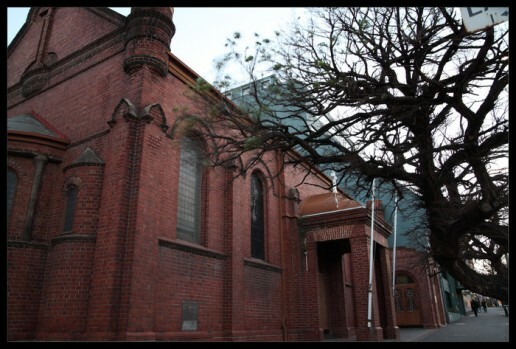 The construction of the Evanglismos Church in Melbourne, commencing in 1900, our first lasting endeavour as an organised community is the keystone of our foundation myth as a Greek community in Victoria. Yet what is widely not known, or intentionally left out of such a myth is that this endeavour was not restricted to Greeks alone. 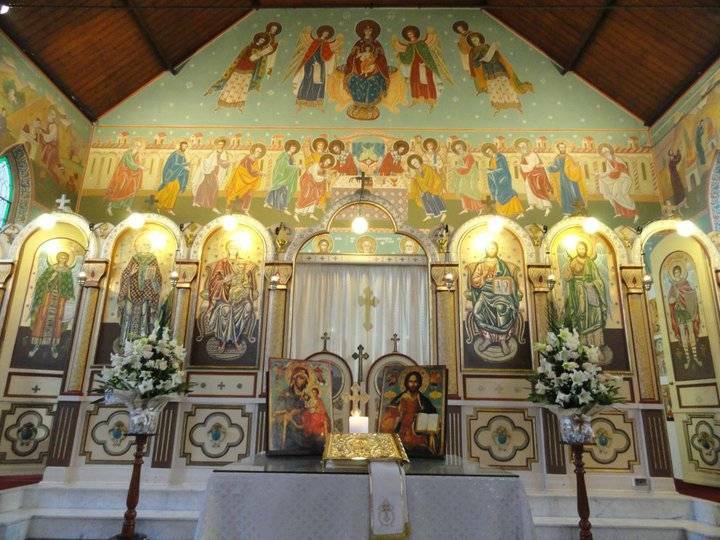 While founding of the Evangelismos Church did place the Greek community on the broader social map of Melbourne, it did so at the expense of the ecumenical vision of the Orthodox Church, and the aspirations of the small Syrian and Russian communities that had cleaved to the vision of a permanent Orthodox church being built in Melbourne,for all Orthodox faithful to enjoy. 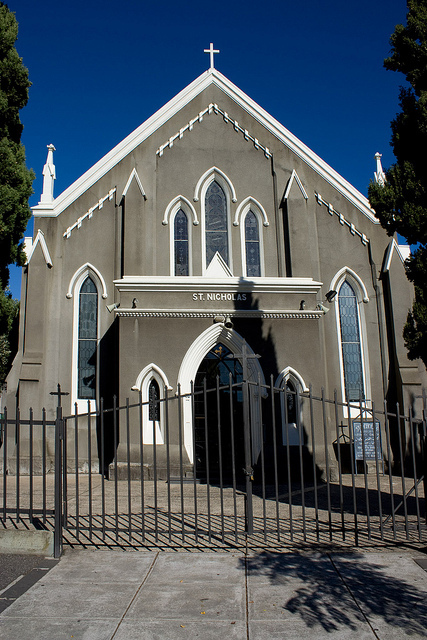 The founding of the church then is a triumph of willpower and a tragedy of petty nationalism, racism and exclusionist micro-politics that have blighted our community ever since. Three months later, a committee of Greeks and Syrians signed a letter to the Patriarch of Jerusalem, reminding him of their request and guaranteeing a stipend of £100 for a priest for five years. This committee called itself the “Provisional Committee of the Melbourne Orthodox Community,” and included such founding fathers of the later Greek Orthodox Community of Melbourne and Victoria as Grigorios Matorikos, Georgios Lekatsas and Konstantinos Raftopoulos, as well as the Syrians Salman Botros and Zakharia Golemi. 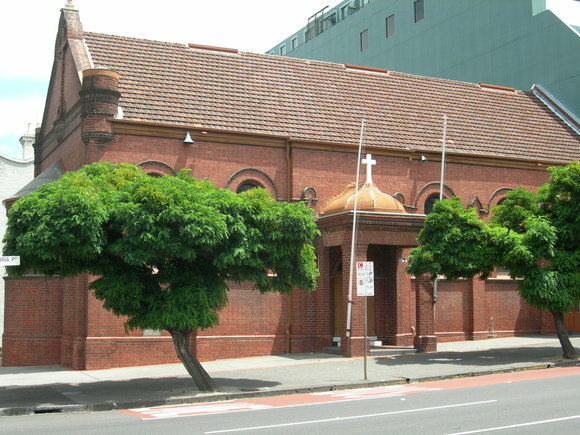 The Patriarch was slow in replying and the Orthodox of Melbourne continued to use facilities provided to them generously by the Anglican church. Hot off the heels of an unexpected visit to Australia in 1896 by Samian priest Dorotheos Bakaliaros, the Provisional Committee of the Melbourne Orthodox Community sent of its Syrian members, Souliman Keami to call upon the Jerusalem Patriarch. While he was in Jerusalem, Keami met Athanasios Kantopoulos, from Rhodes, who he believed would be eminently suitable. On 7 March 1898, a meeting was held in Grigorios Matorikos’ shop in Swanston Street, attended by Greeks, Syrians and Lebanese. The committee was instructed to write to the Patriarch, requesting a priest able to conduct the liturgy in Greek and Arabic. Kantopoulos, a polyglot who spoke Greek, Arabic and Russian, duly arrived in Melbourne on 10 June 1898. The Evanglismos Church foundation stone was laid by Kantopoulos on 6 December 1900. A collection raised towards the cost of the building, contributed to primarily by the three Greek businessmen Matorikos, Lekatsas and Maniakis but also by the Lord Mayor of Melbourne and the Syrian John Abicair. Some Lebanese parishioners donated icons and the first churchwarden was also Lebanese. The Community went on to defame Kantopoulos, and to arbitrarily resolve to leave the jurisdiction of the Jerusalem Patriarchate, making attempts to place themselves under the Church of Greece. The reason they did so was also stated by Maniakis, who stated that the Greeks wanted to be “under the protection of a free corner of the Greek race.” This stance, caused a further division within the small community, pitting those, predominantly Ithacans who had come from areas that belonged to the Greek kingdom, against those Greeks who came from areas that were still subject to Ottoman rule. There is significant evidence that despite his ignominious treatment, Father Kantopoulos continued to enjoy the support of many members of the Greek and Syrian community. In August 1903, a Melbourne Greek, Panayiotis Peppas, addressed an emotional letter to the Jerusalem Patriarch, declaring that Kantopoulos “was beloved and esteemed by the entire Orthodox Church in Melbourne, – Greeks, Syrians, Russians and Serbs – except “three brass-headed speculators – Maniakis, Matorikos and Lekatsas – and about ten people working in the fish-markets.” A similar letter, signed by a combined group of Greeks and Syrians, denounced the “scandalous and wicked extortionist faction,” which had deprived the Syrians of their “legal rights.” All this was to no avail and in September 1903, the Community’s council erased Kantopoulos’ name from the foundation stone of the Evangelismos church. In that year, also, Alexander Maniakis registered himself as the head of the Greek Orthodox Community of Victoria. Father Kantopoulos remained in Melbourne until 1907, and retained his ecumenical vision, ministering to the Orthodox believers of all nations, even preaching in New Zealand and to the Australia aborigines. He most notably survives in public Australian discourse as a footnote in the pages of Federation, the artist Tom Roberts painting him in his canvas depicting the ceremonial opening of the first Federal Parliament. 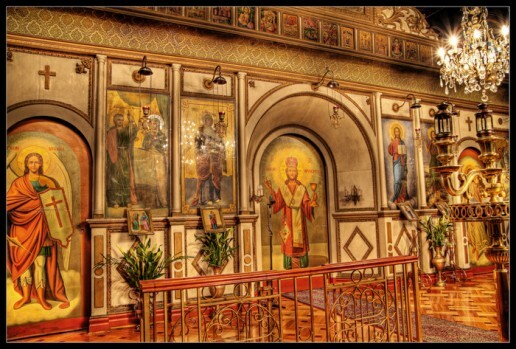 In the meantime, the Syrians and Lebanese, dispossessed of their rights, continued to attend the Evangelismos church until 1932, when they, along with some Russian families, constructed the church of Saint Nicholas on the same street, a few blocks further down from the Evanglismos Church. This was a truly polyglot church, with services in Arabic, Russian and Greek. Even despite the appalling racism meted out to their Orthodox brethren by a few shopkeepers, the hierarchy of the Greek church did not abandon the Syrians. 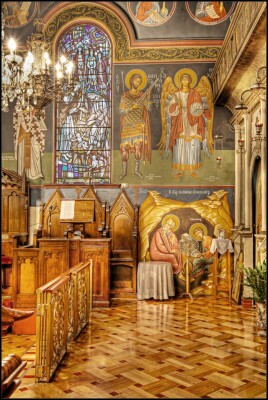 The aptly named Archbishop Timotheos Evangelinidis consecrated St Nicholas, Archimadrite Timotheos would occasionally serve the liturgy there and the Syrians and Lebanese, now under the jurisdiction of the Patriarch of Antioch co-operate closely with the Greek Orthodox Archdiocese today. Yet had not the ugly head of racism reared itself from the outset, arguably our communities would have been closer and much more integrated than they are today. Quite apart from a legacy of racism that has inexplicably seen the Orthodox communities of Australia divided into ethnic jurisdictions, something that horrified the ecclesiastical authorities of 1900’s, the exclusion of the Syrians and the arbitrary governance of a church by a cabal of shopkeepers and petty-capitalists, who believed that their business acumen qualified them to minister to the spiritual needs of their less affluent brethren, in defiance of the doctrines and canons of the Church, created a legacy of fractiousness, jurisdiction hopping and strife that has blighted not only the organised Greek community until the present day but also has served as a precedent for intra-jurisdictional strife between other Orthodox communities run by businessmen ignorant of church traditions and the canonically appointed spiritual representatives of those Churches. The founding of Evangelismos Church is rightly lauded as a great achievement. Yet it is high time that its negative aspects are also re-examined, and afforded their rightful place within the historical discourse of our community. Next: More Headaches for Christians Around the World! Thank you Dean for your thought provoking article on Evangelismos (NKEE 22/12/12), because it is the story that is not told, overlooked or remains hidden. And yet, it goes straight to the origins of all the problems that has afflicted the Greek-Australian community and the wider Orthodox community ever since. I regret to say, that what happened at Evangelismos was not an isolated incident, but replicated all over Australia until our present time. It is the source of enmity that Arabs, Slavs and Australian converts hold against Greeks to this day. It has also been the source of hostility between Greeks, and has pitted clergy and laity against small but powerful lay groups who secured ownership or influence of church properties and community associations, governing them as if they were their own personal estate and treating the rest of us with contempt as if they were feudal lords! And yet, this “elite” found fertile ground in Australia’s excessive individualist Protestant ethos, that has created the fractious myriad of Protestant denominations, to serve as the foundations on which the Greek community was organised upon, thus creating the myriad of Greek associations and Church jurisdictions. With regards to Church jurisdictions, it caused Australia to shift between the ecclesial authority of Jerusalem and Athens several times, until both complained to Constantinople to assume responsibility for Australia in accordance to Canon 28 of the 4th Ecumenical Council. Constantinople sought enforcing her authority in accordance to the said canon, by establishing the Holy Metropolis of Australia and New Zealand in 1924, and sending out a bishop to reconcile differences, collectivise communal effort and put administrative order in accordance to Church ethos. Unfortunately this has not always been successful or without issue and controversy, but where successful implementation of Constantinople’s authority occurs, has spelt the end of corrupt lay control over Church properties which were “gravy trains” for this select few who leached off the Church and her laity. Australian law permitted them to do this by incorporating churches as independent associations governed by their own constitutions. The rules of these constitutions were naturally written by these elites, who quite often registered properties under their own names or incorporated syndicates, even though the monies raised for their acquisition were from public contributions from the wider Greek and Orthodox communities, they invariably came under the personal stewardship of these “elites”. 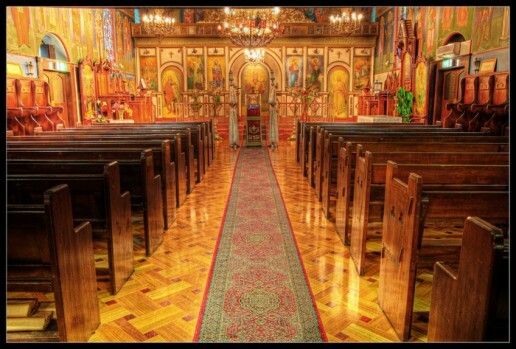 The reason why groups like the GOCMV came into existence and bear the name “Greek Orthodox Community” and not simply the “Greek Community”, stems from its founding to build and manage churches in the absence of Church authority. As opposed to some other organisations, thankfully the GOCMV’s current presidency and committee are dedicated to putting things in order and resolving differences. Yet the ill-will that pervades the Greek community towards the Church is due primarily on these “elites” who tainted the Church’s image and ministry, supported questionable clergymen and blurred the lines between Church and secular community organisations. Thus managing churches as ethnic ghettoes and social clubs, from which they embezzled funds. One of their most offensive actions was to make financial distinctions between the sacraments, such as first-class and economy-class baptisms! However these elites did not stop there, for they forced further divisions to such an extent that other Orthodox groups like the Arabs and the Slavs, were compelled to form their own archdiocese or organisations; Thus breaking the unity of the Church of Australia, and creating the multi-jurisdictional nightmare that we live with today. 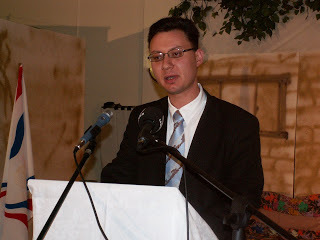 They even sought to undermine efforts by Church authorities to provide English-language services and translations for the younger generations and for Orthodox converts, as approved during the tenure of Metropolitan Timotheos Evangelinidis in the Pan-Australian Orthodox clerical synaxes of the 1930s. The publications of these English translations, which were done by a Melbourne publishing house in Prahran, are very rare to find since many were destroyed by such ethno-phyletic recalcitrants and businessmen. Yet many more things could be said, to which we will write about in detail in an article entitled “Cultivating an Australian Orthodox Identity” that will be published within our weblog (www.modeoflife.org) in the near future.